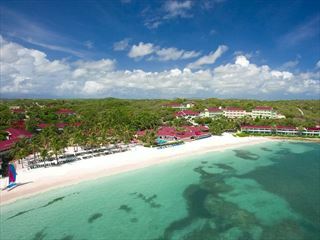 Located near Nelson’s Dockyard, St James’s Club is part of the excellent range of Elite Island Resorts. 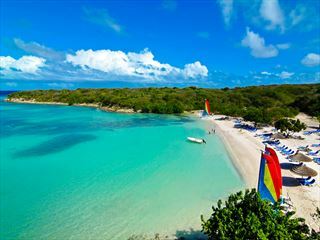 Set on a peninsula at the south of the island, there are beautiful beaches either side of the resort – you’re spoiled for choice. 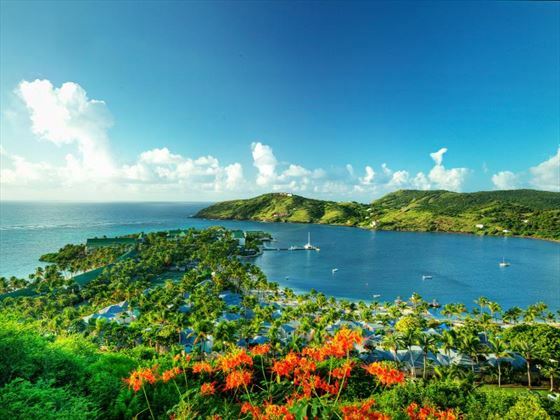 Antigua’s warm year round climate makes St James’s Club an ideal summer and winter destination, and rolling green hills and shimmering sand make for a stunning backdrop against the blue horizon. But St James’s Club is for more than just sand, sun and sea. 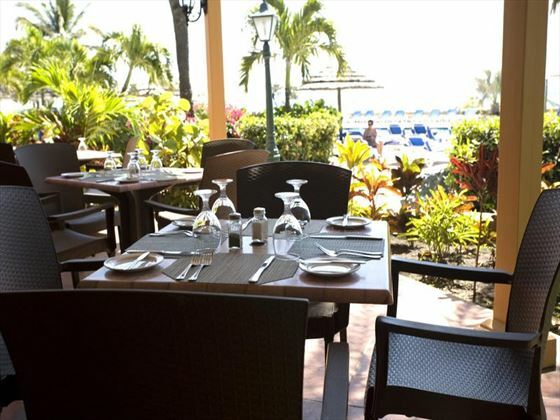 High quality food and exceptional service at the cornerstones of the Elite Island Resorts name, and here is no exception. 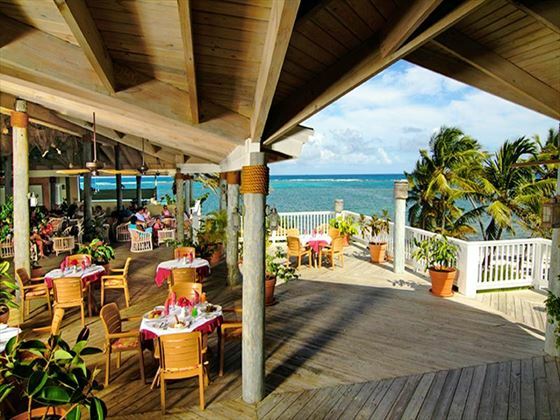 There are four fantastic restaurants and the staff can’t do enough to help you out. This is a holiday where lay back, relax and not worry about a thing. With a Children’s Club and teen room, bringing children is no problem. In fact, the range of activities and water sports that parents and children can enjoy together can offer really fantastic family bonding experiences. 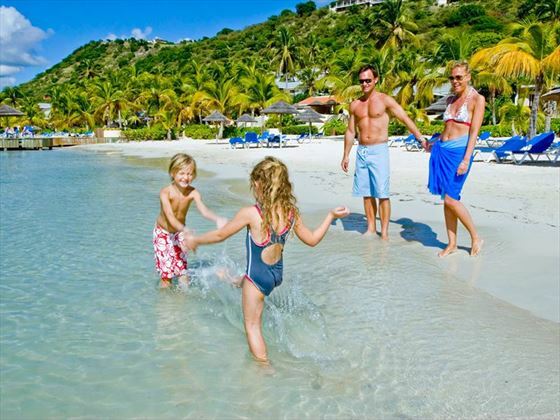 Further reading: St James's Club & Villas is featured in our guide to our recommended family hotels in Antigua. 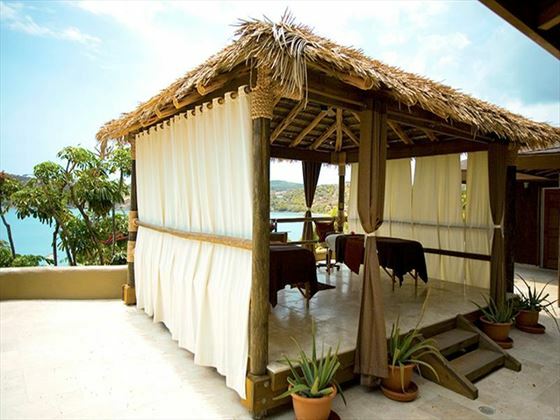 This fun retreat is hidden away on an isolated 100-acre peninsula, an emerald green paradise located on the south-eastern coast of Antigua. With two white sand beaches to choose from, you’ll be spoilt for choice when it comes to unwinding in the sunshine. Mamora Bay’s tranquil waters are ideal for swimming, whilst Coco Beach’s shallows abundant in tropical marine life makes it one of our favourite sports for snorkelling. 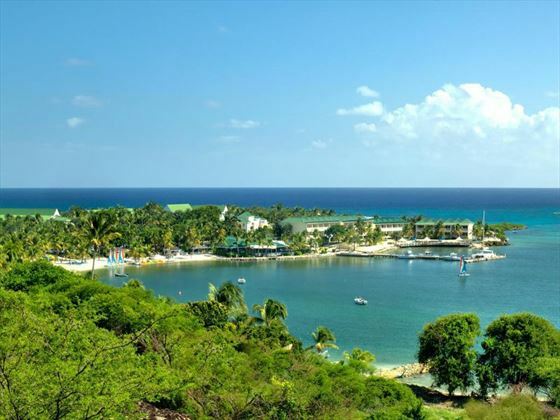 The resort is approximately a 40-minute drive from V C Bird International Airport. Club Room – spacious rooms offering lovely garden views with private balcony or terrace, with a king bed and a private balcony or patio. Some rooms have partial ocean view. Royal Suite – Adult-only suites with a separate living room, private balcony, floor-to-ceiling windows, king bed and spacious bathroom with a deep-soaking tub. These suites also offer private check-in and a lounge a new swimming pool and are complete with WIFI, Ipod docking stations and DVD players. Minimum age is 16 years. Two-bedroom Villa - Luxurious villas situated in the Club's village area, with separate dining and living areas, a full kitchen and a balcony or patio overlooking Mamora Bay. 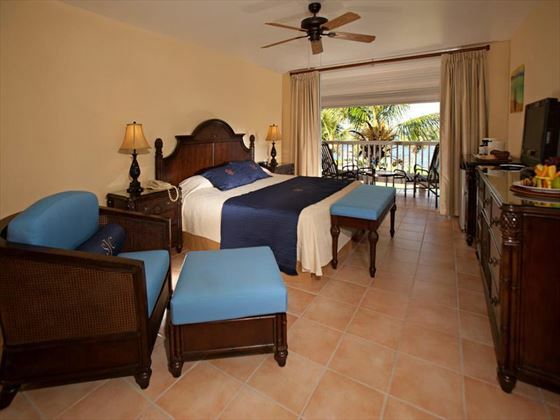 Features one king-size and two twin beds and a private bath and shower with plush bathrobes. 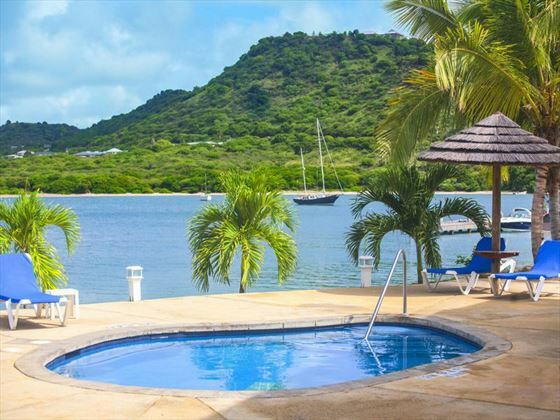 Three-bedroom Villa - Gorgeous villas nestled in the Club Village area, offering a private terrace or balcony with partial ocean or garden view. There are three bedrooms with a private bath and shower and plush bathrobes. 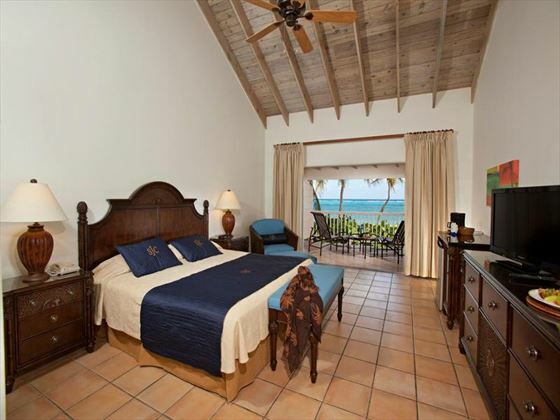 Two bedrooms have a king size bed, whilst the third has two twins - can accommodate up to eight guests. The new Mamora Bay Café coffee house is located close to the lobby area for guests to enjoy a coffee and relax throughout the day. Designed as a snack on-the-go style facility, guests may choose from a variety of specialty coffees, smoothies, teas and pastries. 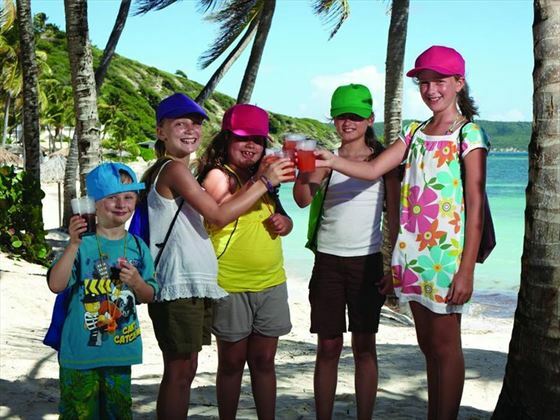 The St James’s’ Kidz Club is the perfect getaway for young kids looking for fun, sea and sand. 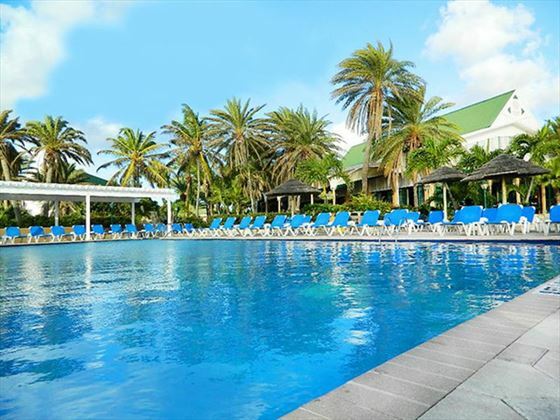 Located near Coco Beach, the club has a fenced play area and a covered games area right next to the main pool, offering a safe place for children aged 4-11 to play and make new friends. There are plenty of exciting activities to keep young guests entertained and having fun, including art classes, swimming activities, nature trails, and seasonal themed programmes. Open 9.15am-11pm, parents are also welcome to have a relaxed dinner for two, whilst the kids enjoy dinner and a movie at the Club. The Kidz Menu is also available for lunch and can be chosen by you on a daily basis. St James's Club & Villas will be closed from 01 July to 30 Sep 2018.